Prepare for the Holistic Nutrition Credentialing Board (HNCB) certification exam. Are you serious about starting a healthcare career in nutrition? Or do you want to incorporate nutrition into your current healthcare practice? The Functional Nutrition program at PCC Institute for Health Professionals will provide you a solid foundation to start your professional nutrition career or add holistic nutrition to your practice. Why the Functional Nutrition program at PCC Institute for Health Professionals? High quality. PCC Institute for Health Professionals has been a long-time sponsor school of the National Association of Nutrition Professionals (NANP), and our Functional Nutrition program is approved by NANP. College-level rigor. After successfully completing the program, you will receive 2 Non-Credit Training Certificates (NCTC) from Portland Community College. Prepare for HNCB exam. As part of the program, the HNCB resource guide and exam fee is included. You will take the Holistic Nutrition Credentialing Board (HNCB) certification exam after you complete your studies. Future-focused. 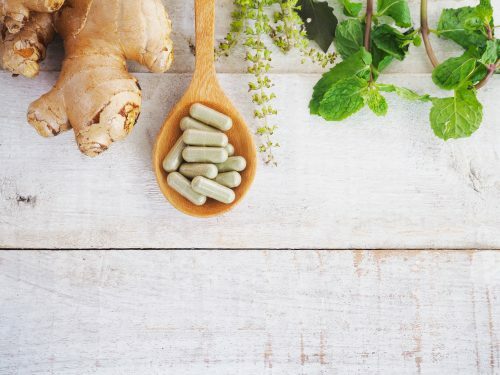 The program is based on the evolving landscape of healthcare, and how nutrition is playing an important role in functional medicine and integrative healthcare. Taught by practitioners. Our instructors are practitioners and experts in their specific field. Science-based. Our curriculum is science-based. You’ll learn nutrition principles backed by verified scientific research. Traditional wisdom. The program also pulls on traditional wisdom such as Traditional Chinese Medicine and Ayurveda for a well-rounded perspective on nutrition. Firm foundation. This program will provide you the foundational platform for continued, life-long learning in the field of nutrition. School partnerships. We are continually growing our relationships with partner universities and colleges to give our students advantages in continuing their education. The Functional Nutrition program is 1 year (4 terms) long and cohort-based. Each term consists of 10 weeks of live online class learning with two sessions per week: Monday and Thursday, 6pm-9pm Pacific Time. Each session will be recorded for viewing later. Expect to prep 1-3 hours per meeting. Who should enroll in Functional Nutrition? Functional Nutrition is a college-level, professional preparatory program. Only individuals serious about starting a career in nutrition or expanding their current healthcare practice should apply. You may benefit from the program if you are a naturopathic physician, chiropractor, acupuncturist, or massage therapist. Mail or deliver a complete Application Packet. Make sure you include the required documentation. Will this program help me get a job or prepare for a career? Finding a job or starting a career in nutrition depends on two things. What are your personal goals? Do you want to start your own practice? Do you want to supplement your current healthcare practice? Do you want to work as a nutritionist at a retail location? Knowing your goals is critical. What does your state allow? Each state has different laws concerning what you can do as a nutritionist. In some states, for example, only Registered Dietitians (learn more about the difference between nutritionists and dietitians) can provide nutrition counseling. Please review your state’s stance on practicing nutrition at the Center for Nutrition Advocacy. With these two things in mind, the Functional Nutrition program at PCC Institute for Health Professionals is a rigorous entry-level, professional preparatory program to get you started on your career in nutrition. As part of the program, you will take the Holistic Nutrition Credentialing Board (HNCB) certification exam. If you pass, this certificate will give you credibility. As you advance in the field, you can pursue additional certificates and degrees to increase your knowledge. If you’re interested in learning more about what you can do as a nutritionist, please see our blog post “Explore the Many Job Opportunities for Nutritionists”. Does this program focus on specific illnesses? No, this program does not focus on any particular sickness or disease. Instead, this program will give you a solid foundational understanding of nutrition. From this foundation, you can pursue continuing education to dive deep into a specific niche. Is this program completely online? Yes, this program is completely online with no in-person classroom time. Is this program eligible for FAFSA funds/financial aid/scholarships? Because the program is a non-credit college program (not a for-credit degree or certificate), no scholarships or financial aid are available. Upon registration, a student can make arrangements for payments through the Student Accounts Office. Watch a recording of the Functional Nutrition Information Webinar, held on February 10, 2018.